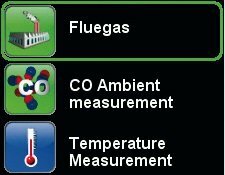 When you are serious about burner maintenance and calibration, then Systronik flue-gas analyzers are the only analyzers to consider. The entire line of Systronik models are engineered and built for real world usage. That is to say, not only do they out-perform in the lab environment but equally so in the boiler room. Each Eurolyzer and Multilyzer analyzer goes through five manufacturing steps and nearly 10 quality control steps. Features such as Dynamic H2 Compensation and Coalescence Filtration add to the accuracy, durability and lower service costs throughout the lifespan of the analyzer. Allow us to show you what Systronik has learned over the last 25 years of building flue-gas analyzers. Add a Systronik analyzer to your arsenal of tools today. Compact and powerful, the Bluelyzer ST does it all. Portable and full of features, the Multilyzer STx is the best in the industry. The Eurolyzer STx represents the latest in combustion technology. To maintain accurate readings, your analyzer needs to be calibrated occasionally. A quick introduction to the importance of efficient and clean combustion.